Classic grounded theory methodology is a much-debated topic in research, especially when novice researchers are selecting classic grounded theory for their research or theses. There is a constant need to justify and defend certain processes of grounded theory, which often challenge other research methods. As a novice researcher, I have often found myself juggling between the need to follow specific procedures and regulations of the university while opting to support the views of Glaser and the application of classic grounded theory for my research. To tackle such difficulties, specific decisions were used to support and justify key choices that favoured classic grounded theory and the requirements of the research institute and my research process. This article provides a reflection on the decisions taken at different stages of the research process to help readers make informed decisions before entering the field. Keywords: exploration, rhetorical wrestle, classic GT, emergence, entering the field, sampling, constant comparison. Every researcher is faced with many choices and decisions that help him or her guide the research towards a path. This article highlights a set of ten decisions I made during my research based on specific requirements of my institute and methodological choice. The decisions were mainly important to defend against the rhetorical wrestle and the adoption of classic grounded theory based on Glaser and Strauss (1967) and Glaser (1978, 1992, 1998, 2001, 2003, 2005). The ten decisions discussed in this paper provide an outline for novice researchers to justify their adoption of (classic) grounded theory as well as to offer them guidelines on conceptualising the research process of their own research projects. As a PhD candidate in an era influenced and dominated by information and communication technology (ICT), I decided to do my PhD on computer-mediated communication focusing on investigating the influence emoji have on communication. The reasons for perusing such an area were personal interest and the desire to understand the communication process through computer-based channels. While being unaware of concepts of theoretical sensitivity and philosophical perspectives, one of the first stages of my research process was to conduct a literature review in the research area, focus the research, and support it with a theoretical perspective. The first point of action was to conduct databases searches for existing papers with relevance to “emoji” as the key area of research. The results were surprising: only seven papers focused on emoji. They mainly focused on quantitative measures, and the papers did not provide much insight from a qualitative perspective on emoji and their influences in terms of communication. Thus, a more in-depth study was needed to explore and understand the research area further to develop an initial base in the context of emoji. The lack of publications in the topic area provided this researcher an opportunity to investigate and develop research from the ground up. Thus, an inductive style seemed appropriate. Also, an exploratory design was selected to investigate the unknown area of research, following Blaikie’s (2009) views that exploratory research is very much suited in areas where little is known and helps develop a better idea about a social phenomenon. A strong emphasis was to develop an initial understanding of the research area using the exploratory research approach and open areas which can be further investigated. A justification was also provided from Blumer’s (1969) perspective that exploratory research is applied to develop a “clearer understanding of how one’s problem is to be posed” (p. 40). Many authors, such as Creswell (2012), Miles, Huberman, and Saldana (2013) and Bryman (2016), tended to relate exploratory research with qualitative research methods. However, from the various views on qualitative research, Hakim’s (2000) view is an interesting one, as she emphasized that qualitative is about people and the focus of qualitative research is mainly to address patterns or clusters of attitudes and behaviour which emerge from the data. Similarly, Glaser (1978, 1992, 1998) also focused on the emergence of theory from data. However, Glaser (1978, 1992, 1998) provided a clear distinction between qualitative research and grounded theory. Supporting Glaser’s view, from my exploratory research, were simply looking at what is going on and developing a theory based on behaviours of people. However, there is always a need to justify and defend an area of interest with research norms, to develop questions, objectives, support points with literature, etc. ; it is never enough to do research just because an area is of interest to a researcher. In essence, there is more pressure on justifying, specifying, and defending rather than exploring, discovering, and addressing an area of interest. To address such a rhetorical wrestle and to support a specific methodological choice, various methodology selection criteria are developed. A reason for developing a methodology selection criteria is to justify and defend the need to support exploration and not to limit discovery in the research area. Supporting the idea of discovery, flexibility, and creative thinking are key benefits of perusing discovery as they allow the researcher to bring novelty to an area where little is known. The limited publications also allow a researcher the opportunity to present an initial theoretical perspective on emoji, which was otherwise missing. 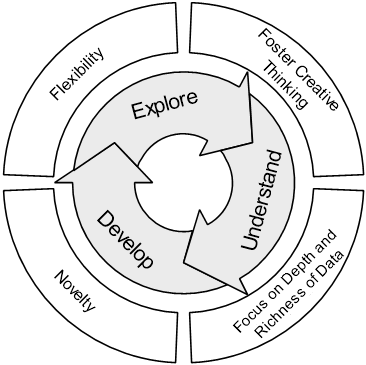 Thus, to take advantage of the situation, the researcher focuses on a process where he can go through a continuous cycle of exploring, understanding, and developing, while the process is facilitated with flexibility, creative thinking, and focusing on depth and richness of data, ultimately, aiming for novelty in the developed theory. Figure 1 illustrates the methodological selection criteria developed for the research. Out of many approaches to research, from phenomenology to case study, grounded theory method was selected for this research study as it is well suited in areas where little is known; it allows the researcher to focus more on exploring and the emergence of theory from discovery. Originating in sociology and nursing, grounded theory aims to understand actions in a substantive area and generate theory from the data, in essence “theory grounded in data” (Bryant & Charmaz, 2010, p. 328). It is more suited for exploring initial discoveries (Corbin & Strauss, 2014). Grounded theory allows a researcher to be flexible and provides a systematic approach to understanding complex phenomena, with potential towards conceptualising data (Charmaz, 2003; El Husseinm, Hirst, Salyers, & Osuji, 2014). But the method is inadequate for generalizability and possibly leads to methodological errors if not applied accurately (Charmaz, 1990). One of the key features that makes grounded theory so unique is that it allows room for fostering creative thinking. The grounded theory process emphasizes emergence, constant comparison, memoing, and most importantly, starting the research project without any preconceived ideas or concepts. The process allows room to analyse the data using creative thinking and to derive inductively meaning from data. As Glaser (1978) stated, grounded theory constantly promotes open-minded thinking to a “myriad of new possibilities” (p. 6), and enables data depth and richness towards conceptualisation. Glaser (1992) defined grounded theory as “A general methodology of analysis linked with data collection that uses a systematically applied set of methods to generate an inductive theory about a substantive area” (p. 16). Glaser’s definition is acknowledged by researchers; however, variations in the way grounded theory is approached exist among grounded theorists. Common differences are in the way data is collected, analysed, and handled (Evans, 2013). Glaser (2002), while criticising Charmaz’s constructivist grounded theory, pointed out that grounded theory is a general method and is not restricted to any one theoretical viewpoint, but rather it is neutral to an ontological and epistemological stance. Thus, classic grounded theory is free to adopt any ontological and epistemological stance and the theoretical perspective could be different in different cases (Holton, 2009). This notion of “neutrality” of ontology and epistemology is open to criticism and it is a common subject of debate in grounded theory literature to date. Straussian grounded theory follows on from the classic version in its neutrality towards the philosophical position and allows room for freedom but focuses more on the rigour of the process rather than the actual discovery of theory; also the process is more structured and is defined by a more inflexible and rigid coding of data analysis (Evans, 2013). Constructivist grounded theory, on the other hand, focuses more on interactions and involvement in the research, adopting constructivist views. The three different views presented by Glaser, Strauss, Corbin and Charmaz lead to an interesting debate about what grounded theory is. Grounded theory, unlike other research methods, can be quite confusing for novice researchers due to the time it may take to grasp the many variations—a necessary objective to allow them to decide which version of grounded theory suits their research. Classic grounded theory certainly reflects the idea of autonomy, creativity, and originality. This research is also driven by similar ideas: flexibility, creative thinking, novelty, and dependence on data for depth and richness. Thus, classic grounded theory was selected. One of the appealing factors of classic grounded theory (sometimes referred to as “GT”) is that it is an exploratory research methodology; however, the methodology approaches exploration by embedding data and discovery to the entire research process. The mantra “All is data” (Glaser, 2001, p. 145) is always emphasized by Glaser in all his publications and suggests that data should be considered first, which help to build the emergence of theory. Grounded Theory is a perspective based methodology and people’s perspectives vary. . . Multiple perspectives among participants is often the case and then the grounded theory researcher comes along and raises these perspectives to the abstract level of conceptualization hoping to see the underlying or latent pattern, another perspective. Simply, a grounded theory researcher focuses on what is going on and identifies hidden patterns, which generally form the basis of the theory. However, the process of grounded theory is very much focused on the key principles that surround it. Without concepts such as theoretical sensitivity, theoretical sampling, and constant comparisons, grounded theory method is incomplete and it is not possible to apply it. Glaser (2001) said, “The product of classic grounded theory is abstraction, NOT accurate description, thus classic grounded theory is not aimed at solving the accuracy problem” (p. 145). He also explained that “Grounded theory is conceptualized patterns; it is abstract of time, place and people” (Glaser, 2001, p. 129). Theoretical sensitivity, according to Glaser (1978, 1992, 2001), refers to qualities of the researcher, which relates to his or her ability to generate understanding, meaning, and subtlety (separating relevant from irrelevant factors) towards the data. Theoretical sensitivity is very much dependent upon literature, personal and professional experiences, and the analytical process (Glaser, 1978). Classic grounded theory emphasizes that researchers applying the methodology need to keep the theoretical sensitivity as low as possible at the beginning, and allow the data to increase the researcher’s theoretical sensitivity as he or she becomes more involved in the research process and the data. The grounded theory research requires the researcher to start his or her research with as few predetermined conceptions as possible, thereby being sensitive towards data to eliminate pre-existing hypotheses and biases (Glaser, 1978; Mills, Bonner, & Francis, 2006). There have been misconceptions that classic grounded theory asks researchers to start from a blank state or tabula rasa to legitimize theoretical sensitivity (Clarke, 2005), but neither classic nor any other grounded theory method claims that requirement; instead, Glaser and Strauss (1967) acknowledged that starting from a blank state is not possible but recommended that the researcher should purge preconceived ideas as much as possible to let the theory emerge. Literature was seen as a factor that could contaminate creative thinking and limit novelty in the research. Therefore, it was necessary to purge preconceived ideas as much as possible, and not allow existing theories, concepts, and framework to influence the thinking process. Moreover, delaying the literature review allowed the researcher room to be flexible in the thinking and exploration process by letting the data address key findings and work with data only to develop conceptual ideas. Therefore, this researcher delayed the literature review until the point of theoretical coding (explained further in later sections), as suggested. Theoretical sampling: Sampling is done based on what emerges from data, and then the researcher decides what data to collect next. Data collection is more focused on generated ideas and emerging incidents within data. Theoretical sampling allows the researcher to follow up on the incidences within data; it also helps to simultaneously consider for validity (Glaser & Strauss, 1967; Silverman, 2015). Constant Comparison Analysis: This is a core technique that requires the researcher constantly to compare data with data, data with emergent data, new and previous data with new and previous memos, codes, themes, and categories. Constant comparison analysis requires the researcher to go back and forth on data, codes, themes, categories, and properties (Glaser & Strauss, 1967). The use of theoretical sampling and constant comparison analysis is extremely important as it permits the researcher to question the data in terms of what is happening? What does the data represent? What is to be studied? What are the key incidences? The questioning is much focused on the data at every stage of the research process (van Niekerk & Roode, 2009). Considering the concepts of theoretical sensitivity, theoretical sampling, and constant comparison analysis, it is important for the researcher to start from data, and constantly compare incidents and properties of categories to develop a theory. Before entering into the field, it is important to understand the area under investigation; generally, the researcher uses literature review and preconceived ideas to develop research questions, but according to Hernandez and Andrews (2012, para. 4) the “researcher begins the study with a desire to find out what is going on in a particular substantive area. The research problem is not preconceived prior to the study beginning”. Based on this idea, the initial focus of this study was to concentrate on exploring the influence of emoji on communication and relying on data to provide conceptual ideas on the key effects. Before going into data, some ethical protocols were needed in place, specific initial selection criteria were needed, consideration for access to participants, and consideration for the practicalities of time, situation, and context of the study and specific techniques for recruitment were needed to start the study. Due to the uncertainties of time and types of participants involved, the research process becomes slightly challenging when adopting classic grounded theory; once again, novice researchers are faced with the dilemma of needing to provide a set of plans for the duration of the PhD. Theoretical sampling is one of the major components that brings uncertainty to the duration of the research and its participants. However, to start the research process, an initial sample is needed which ultimately allows the researcher to enter the field. Thus, a decision to develop initial sample selection criteria was taken to guide the researcher in the field, and to satisfy some expectation from the research institute to provide a plan. Emoji are seen to be different in the various different platforms, which many change the meaning of such emoji. As Miller, Thebault-Spieker, Chang, Johnson, Terveen, & Hecht (2016) identified, consistency between online platforms is important to avoid misinterpretation. Therefore, one specific platform needed to be selected. Regarding informed consent and privacy, the researcher needed to select a public platform, to involve participants who can provide informed consent and offer meaningful conversations. Considering the scope and the practicality of completing a PhD, initially, the researcher believes that participants need to be in easy reach of the researcher and should be individuals who are willing to be contacted and willing to engage without a loss of time. Later, sampling is dependent on theoretical occurrences. Regarding classic grounded theory, the participant selection needed to be neither too specific nor too narrow so as not to cause data contamination. Thinking of the key aim of the research, the researcher wanted to get participants who either send or receive emoji and are engaging with emoji-based text in some way. After consideration of all the key points, the researcher determined that the sample selection criteria were participants who were individuals who send or receive emoji on Facebook. Factors of biases, fallacies etc. should be considered as they emerge and should be reflected as just another variable. Considering the concepts of theoretical sensitivity, theoretical sampling, and constant comparison analysis, this researcher made the decision (a) to collect, code, and analyse each data sample one by one, so that it could be analysed in depth and not influence any data sample other than the ones that guided it; and (b) to allow each data sample to generate emergent categories which would guide the next collected data sample in more detail. Moving the research process item by item allows the researcher to be more detailed towards the findings, foster creative thinking, and provides more focus to give depth to the emergent incidences within the data. Moving to the next step, a consideration of data sources for data collection was needed and the selected sources were needed to fit with the research aim and the methodology. Initial thoughts on the key data source included only online observation of Facebook posts of participants and an analysis of them. However, the key focus of the study is to explore the effect of emoji on communication. Considering online observation as the main source will only provide a researcher a perspective on the data and will not consider participants’ perspectives on emoji. Therefore, it was important to include interviews to gather more rich and in-depth data using interviews. However, solely conducting interviews was not enough, so a final decision was made to include online observations and interviews for data collection. In this situation, online observations were used to generate an initial understanding, initial codes, and categories that guided and led the researcher to the interview. 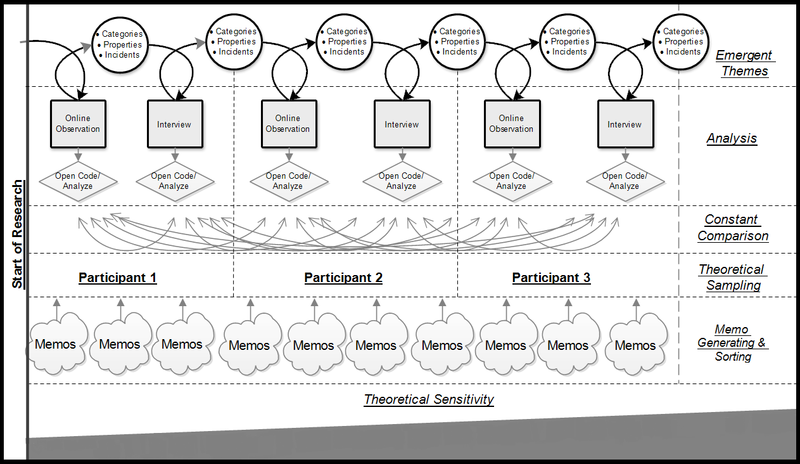 During the interviews, the researcher could focus more on the relevant areas of the interview based on emergent themes from online observations. This idea is also supported by Glaser (1998), as he stated “In grounded theory, there is no such thing as observation without interviews to give them meaning. The reverse is also true; interviews without some observation are not embodied by behaviour and in this regard not as grounded in meaning” (p. 109). Supporting classic grounded theory ideas of observation and interviews and planning for a perfect fit with the research aim, the researcher focused on two main sources of data: online observations and interviews. According to Hennink (2008), in qualitative research, researchers seek to make sense of language and communication; thus, language is a vital aspect of the research process. Various different types of qualitative data analysis—such as grounded theory, content analysis, discourse analysis, thematic analysis, etc.—all base their results on findings from conversations and language used by the participants, which form the basis to understand behaviours and social processes. Thus, it was important for this researcher to consider all forms of languages and not exclude them from the research process based on culture and individual backgrounds. Consideration of all languages would allow for a better understanding of behaviours and social processes. Once again, by focusing on the different forms by which data are received should be considered in the way it is analysed. Participant vs Non-participant: Involvement of the researcher and the degree of interaction with the participants. While following seminal texts for Internet-based research, there was also a need for alignment of such Internet-based techniques with classic grounded theory principles. Immediately, structured observations were excluded from the research; such methods would force preconceived ideas and may contaminate the research process. Also, observations in natural settings are more effective thereby allowing emergence to take place effectively; involvement of researchers to change the course of natural settings could jeopardise the research (Joinson, Katelyn, Tom, & Ulf-Dietrich, 2009). Thus, non-participant observations are more appropriate for classic grounded theory. Online observations, according to Salmons (2015), address “how participants interact in online groups” (p. 124). Within Facebook, groups are considered as the connections that participants have and the individuals who comment on participants’ posts and interact with the participants through likes and tags. Interactions within Facebook are based on text, posted images, likes, reactions, and videos. Such interactions are used as a point of observation for data collection. With online observations of Facebook posts, the data included non-English conversations, as meaning and interpretation are key to this research. Translation of non-English conversations was conducted. According to Crystal (2010), the translation process involves tuning the source language with the meaning of the target language. The source language is the original language; the target language is the intent language used for meaning. In this case, there can be many source languages, depending on the participants, and the target language is English. First, consent from the participant to involve a third party in the translation process was given. Second, before presenting the data to the third party, the identity of the members in the conversation was blurred out and kept anonymous. Third, the data were presented to a third party in a raw format while maintaining anonymity of members in the conversation, so the translation could be done without any conflict of interest. Fourth, after completion of both translations, the translated documents were compared and matched to see differences and similarities. So far no differences were found in the translations; the translations were considered as true. To keep the idea of emergence and allowing data to emerge, Glaser (2001) suggested that grounded theory is not qualitative data analysis (QDA) and should be seen differently; to support his views, he argued that QDA aims toward complete data coverage, whereas grounded theory does not. He insisted that in order for the theory to emerge, guiding questions and preconceived ideas should not be included in the interviews. Glaser (2001) mentioned (2001) that “using predetermined interview guides for in-depth interviews on everyone, would seriously impede a GT research” (p. 171). In the initial stages, he very much favours conversational interview as it helps to allow the interviewee to talk about their own perspectives rather than the interviewer imposing thoughts which may lead to a descriptive theory. The use of conversational interviews allows the researcher to explore general topics and uncover the views of the participant. Van Enk (2009) highlighted that when conducting conversational interviews, it is important to remember that it is not about the researcher, his or her experiences, his or her opinion of the participant, or how he or she relates to the participant; it is about the participants, their lives, their perspectives, and their opinions. The researcher should be more of a listener, a facilitator and take a back seat in the interview to allow the participant to express themselves and be open. But, as the research progresses forward, the researcher moves to the next sample based on emergent areas, considers emergent themes, categories, and theoretical sampling; the researcher has to consider tailoring the questions, listening, and making observations according to the current situation. But again, it is important to remember that questioning should not be imposed based on emergent themes. Ball, Müller, and Nelson (2014) defined theoretical interviewing as: “the process of continuous checking between data and analysis helps to guide subsequent data collection through theoretical sampling which that the emerging concepts become increasingly abstract and theoretical” (p. 116). Supporting such ideas, the researcher excluded interview guides and allowed emergent categories to guide the research process, and thus, adopted theoretical interviewing. After developing the initial selection criteria and receiving ethical approval, without losing any more time, the researcher was ready to enter the field. But, considering the concepts of theoretical sensitivity, theoretical sampling, and constant comparison analysis, a decision was taken to collect, code, and analyse each data sample one by one so that the data could be analysed in depth and not influence any other data sample other than the ones that guided it; and to allow each data sample to generate emergent categories to guide the researcher to the next collected data sample. Moving the research process item by item allows the researcher to be more detailed towards the findings, foster creative thinking, and it can provide more focus to give depth to the emergent incidences within data. Glaser (1978, 1992, 1998, 2001) insisted that researchers using the methodology should focus on the data and where it leads more than anything; researchers should not enforce preconceived ideas into their study. Grounded theory is very much data-dependent and it lets the data guide the researcher towards the theory rather than the researcher leading the data to a theory. This ideology caused key debates in the grounded theory literature and is also one of the reasons for creating variations of the method. In the original text, Glaser and Strauss (1967) mentioned that “when the analyst’s purpose is only the specifying of a unit of analysis, he stifles his chances for generating to a greater degree” (p. 26). In simple terms, analysts should keep an open mind and allow data to specify what the unit of analysis should be. The unit of analysis for this research is the incidents within data discovered during the study. Thus, the data guide the researcher, not the researcher guiding the data. Classic grounded theory is dependent on the process and the analysis rather than one unit of analysis from start to end. The research process applied to this research is based on the aforementioned key points and classic grounded theory concepts, highlighted here in Figure 2. The figure indicates that from the first participant, the researcher conducts online observations (Facebook posts) and then codes and creates memos as necessary using substantive coding principles of open coding. Once some initial codes and categories have been developed, the researcher interviews the same participant based on initial coding, memos, and categories previously developed in the online observations. Next, the researcher codes, creates memos, and develops categories for those interviews and then compares the interview with the online observations one by one. When moving to the next participant, the researcher uses previously created codes, memos, and categories to guide the choice of the next sample participant; he or she then starts from online observations, to the creation of codes, memos, and categories, finally moving to interviews that are guided by the previous set of codes, memos, and categories. At every stage, all the generated codes, memos, categories, and properties are constantly being compared with each other and the data sets to guide the next data set. It is also an important point to note that as the researcher moves from one data set to next, theoretical sensitivity increases at every stage of the research process (shown in Figure 2). Researchers adopting grounded theory methods are faced with many forms of rhetorical wrestles; to justify the use of classic grounded theory, I supported each wrestle with a set of decisions that ultimately provided some perspectives on my thought process to the reviewers. Flexibility, creativity, novelty, and data depth and richness were key areas of consideration, which informed the decisions taken throughout. These criteria were necessarily constantly compared with basic grounded theory principles. Essentially, the process involved three different stages. Stage 1: Selection of research design. For any research study, one of the first methodological choices to be made is the design. This stage is consisted the first three decisions, up to the point of selecting classic grounded theory, where, based on the goal, the need was to mainly select a design that fit the criteria for conducting such a study. However, the process of choosing a specific method required extensive reading of key debates and criticism to look for relevance and fit for each methodological choice with respect to the research aim. Stage 2: Preparing to enter the field. Following the selection of the methodology, there is always a need to have preparation for the research project. The second stage consisted of the aforementioned decisions four to nine. One of the key challenges faced was the rhetorical wrestle required with the institute while being consistent with the classic grounded theory methodology. The second stage of the research process used Glaser’s publications as primary sources for justification and support using classic grounded theory. Stage 3: Enter the field. The last stage was to invoke decision ten: to enter the field and start the research process. The authors focused on highlighting some areas of consideration for early researchers adopting classical grounded theory. It is always challenging to make decisions that may sometimes contradict traditional norms of research, where these norms force a researcher to make some not necessarily relevant decisions. Glaser (1998) discussed some rhetorical wrestles faced by researchers that shed light on the sort of challenges that may arise. The authors of this paper address some significant rhetorical wrestles faced during this research. The teachings of Glaser and supporting texts have guided these decisions through the research process and the uniqueness the applied methods could bring to the research process. Concepts such as theoretical sensitivity, constant comparison, and theoretical sampling not only allow researchers to bring uniqueness but also enable them to consider research from a very different angle. Novice researchers adopting classical grounded theory methodology must remain open to debates, justification, and contradictions to support the mantra of “all is data” (Glaser, 2001, p.145). If applied appropriately the researcher will end up with a unique theory grounded in data. 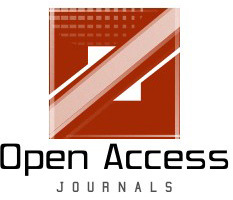 Ball, M. J., Müller, N., & Nelson, R. L. (2014). Handbook of qualitative research in communication disorders. New York, NY: Psychology Press. Blaikie, N. (2009). Designing social research (2nd ed.). Cambridge, UK: Polity Press. Blumer, H. (1969). Symbolic interactionism: perspective and method. Englewood Cliffs, NJ: Prentice Hall. Bryant, A., & Charmaz, K. (2010). The SAGE handbook of grounded theory. London, UK: SAGE Publications. Bryman, A. (2016). Social research methods. Oxford, UK: Oxford University Press. Charmaz, K. (2003). Grounded theory: Objectivist and constuctivist methods. In Y. Denzin & N. K. Lincoln (Eds. ), Strategies of qualitative inquiry (pp. 249–291). London, UK: Sage Publications. Clarke, A. (2005). Situational analysis: Grounded theory after the postmodern turn. London, UK: Sage Publications. Corbin, J., & Strauss, A. (2014). Basics of qualitative research: Techniques and procedures for developing grounded theory (4th ed., Vol. 25). Thousand Oaks, CA: SAGE Publications. Creswell, J. W. (2012). Qualitative inquiry and research design: Choosing among five approaches. London, UK: SAGE Publications. Crystal, D. (2010). The Cambridge encyclopedia of language. Cambridge, UK: Cambridge University Press. Evans, G. L. (2013). A novice researcher’s first walk through the maze of grounded theory: Rationalization for classical grounded theory. Grounded Theory Review, 12(1), 37–55. Glaser, B. G. (1992). Basics of grounded theory analysis: emergence vs. forcing. Mill Valley, CA: Sociology Press. Glaser, B. G. (2003). The grounded theory perspective II: Description’s remodeling of grounded theory. Mill Valley, CA: Sociology Press. Glaser, B. G. (2005). The grounded theory perspective III: Theoretical coding. Mill Valley, CA: Sociology Press. Glaser, B. G., & Strauss, A. L. (1967). The discovery of grounded theory: Strategies for qualitative research. New York, NY: Aldine Publishing Company. Gynnild, A. (2011). Living the ideas: A biographical interview with Barney G. Glaser. In V. Martin, & A. Gynnild (Eds. ), Grounded theory: The philosophy, method, and work of Barney Glaser (pp. 237–254). Boca Raton, FL: Universal-Publishers. Hakim, C. (2000). Research design: Successful designs for social economics research (2nd ed.). Abingdon, UK: Routledge. Hennink, M. M. (2008). Language and communication in cross-cultural qualitative research. In P. Liamputtong (Ed. ), Doing Cross-Cultural Research: Ethical and Methodological Perspectives (pp. 21–34). Dordrecht, Netherlands: Springer Science & Business Media. Hernandez, C. A., & Andrews, T. (2012). Commentary on “Constructing new theory for identifying students with emotional disturbance”. Grounded Theory Review, 11(2), 59–63. Hesse-Biber, S. N., & Johnson, B. (2015). The Oxford handbook of multimethod and mixed methods research inquiry. Oxford, UK: Oxford University Press. Holton, J. A. (2009). Qualitative tussles in undertaking a grounded theory study. Grounded Theory Review, 8(3), 37–49. Joinson, A., Katelyn, M., Tom, P., & Ulf-Dietrich, R. (2009). Oxford handbook of internet psychology. Oxford, UK: Oxford University Press. Mann, C., & Stewart, F. (2000). Internet communication and qualitative research: A handbook for researching online. London, UK: SAGE Publications. Markham, A. N. (2010). Internet research. In D. Silverman (Ed. ), Qualitative Research: Issues of Theory, Method and Practice (3rd ed., pp. 111–128). London, UK: SAGE Publications. Miles, M. B., Huberman, A. M., & Saldana, J. (2013). Qualitative data analysis: A methods sourcebook. Thousand Oaks, CA: SAGE Publications. Miller, H., Thebault-Spieker, J., Chang, S., Johnson, I., Terveen, L., & Hecht, B. (2016). “Blissfully happy” or “ready to fight”: Varying interpretations of emoji. Proceedings of ICWSM 2016. Menlo Park, CA: AAAI Press. Salmons, J. E. (2015). Doing qualitative research online (Vol. 30). London, UK: SAGE Publications. Silva, C. N. (2012). Online research methods in urban and planning studies: Design and outcomes. Hershey, PA: IGI Global. Silverman, D. (2015). Interpreting qualitative data. London, UK: SAGE Publications.